The best way to slow the rapid decline in Arctic sea ice is to reduce soot emissions from burning fossil fuels, wood, and dung. This is the conclusion of a Stanford University study published today in the Journal of Geophysical Research (Atmospheres). 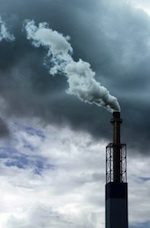 The paper, authored by Mark Z. Jacobson, director of Stanford’s Atmosphere/Energy Program, say that soot is second only to carbon dioxide as a contributor to global warming. Because soot has been “mischaracterized” in previous climate models, it has been “ignored completely” in international and national climate policy. Jacobson’s work has focused on developing a model that uses weather, global climate, and air pollution data over the past 20 years to analyze how soot heats clouds, snow, and ice. He stresses the importance of mitigating the rapid increase of Arctic sea ice melt.